Whether you’re the guy who’s always the life of the party or enjoy spending your evenings at home watching the game, it’s important to live somewhere that speaks to you, from catering to your personal aesthetic to having plenty of space for you to enjoy your favorite leisure activities. If you’re a modern guy who wants to have it all, check out these enviable addresses. Right in the center of the action in Manhattan, this Midtown luxury tower has everything you could want in a home. From sleek modern interiors designed by William T. Georgis and Foster + Partners to the fitness facility, including a yoga studio, weight room, Pilates studio, and pool, you may find yourself having a hard time coming up with reasons to venture outside. If you’re eager to enjoy the perks of a luxury home, but aren’t quite ready to commit to buying, look no further than Atlas New York. This 38th Street tower comes with all the amenities you’d expect from a luxury building, including an attended lobby, fitness studio, private lounge, rooftop terrace, and concierge service, but offers the flexibility of a rental should you find yourself in need of new scenery. 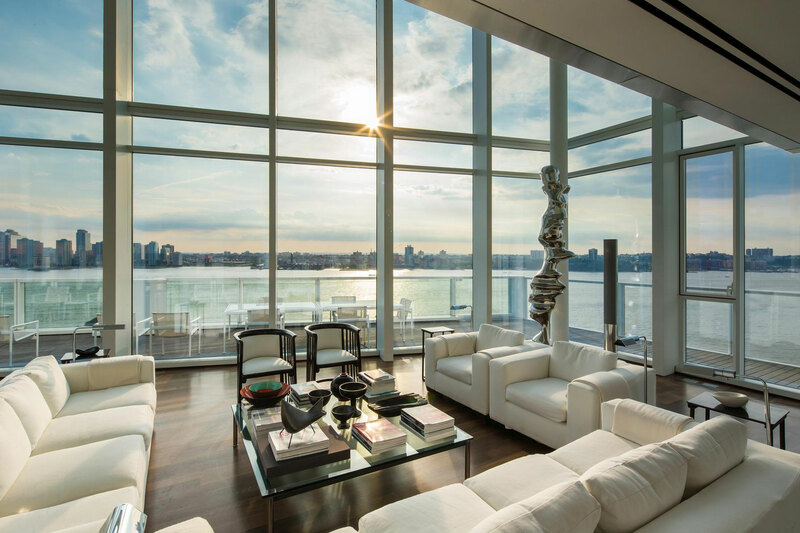 Modern art and luxury living combine under one roof at 520 West 28th Street. The 11-story tower, designed by renowned British architect Zaha Hadid, has one of New York’s most enviable locations, just steps from the High Line and only a few blocks from everything Chelsea and the Meatpacking District have to offer. While the building won’t open its doors to residents until 2017, countless sophisticated buyers are already eager to call this unique development home. The Financial District’s profile has risen dramatically over the past few years, and with it has come an influx of luxury real buildings, but none with the character and style of 101 Wall. The Piet Boon-designed condos are perfect for those who love to entertain, thanks to open-concept layouts, professional-grade kitchens, and stunning views from each of the 52 residences’ oversized windows. Even for those looking to start a family, 101 Wall is up to the task, boasting not only fitness facilities and a library, but a children’s playroom and lots of in-building storage space. The quintessential New York address, this elegant NoMad building is the ideal playground for a guy who knows what he wants and isn’t afraid to ask for it. From its ornate exterior to the 48 residences inside, designed by Pembroke + Ives, who have employed open-concept layouts, unique chevron-pattered wood floors, and marble accents, 212 Fifth is a bold addition to one of the city’s hottest neighborhoods. No matter how you like to spend your time or where your five-year plan might take you, there’s a perfect Manhattan home out there that will suit your every need.